DELIVER THE WORD The original members of War play this weekend. 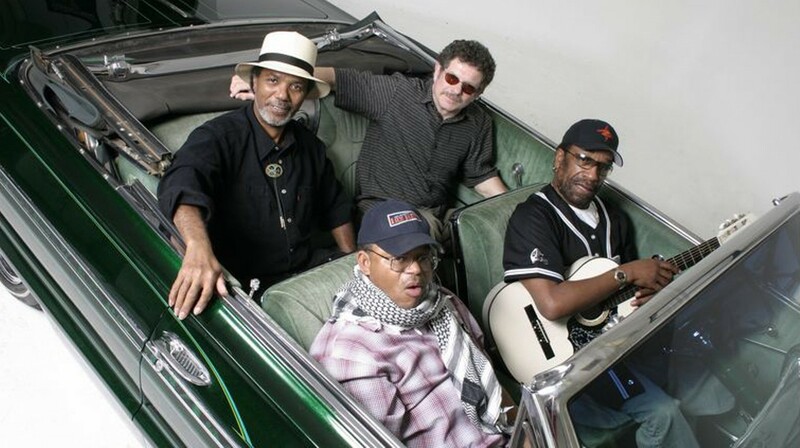 The Lowrider Band play Sunday, May 6, at the Mystic Theatre. 21 Petaluma Blvd. N., Petaluma. 8pm. $31. 707.765.2121. It starts with a cowbell and then that amazing, ascending bass line, landing off-time on the upbeats. A quick roll of the drums and the rhythm kicks in, full of syncopation and soul. Congas, organ and harmonica propel the action, punctuated by a Spanish-tinged lead guitar lick that every 14-year-old in Los Angeles has learned how to play for the last 40 years.